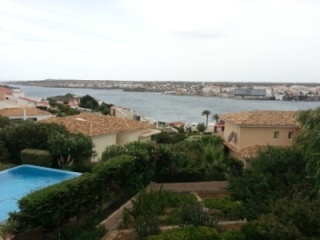 Luxurious privately built and owned Villa on Menorca with stunning south facing views of Mahon harbour and surrounding area. Rural Villa within 10 minutes walk of San Luis. 3500 sq mtr private grounds with private swimming pool. 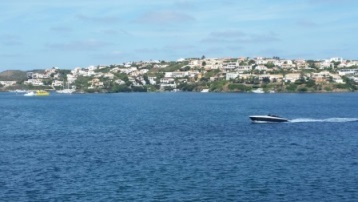 Short drive to many beaches and Mahon. The views are stunning from sunrise to sunset from Villa Rosa and Mariposa. Mahon harbour is the main port for Menorca with many vessels entering and leaving on a daily basis, from small craft, luxury yachts to cruise liners. Villa Rosa and Mariposa have stunning views over looking this constant changing vista. 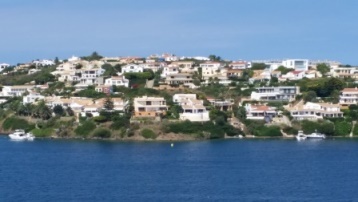 Menorca has very good Mediterranean weather - details available here.